Planning a visit to Walt Disney World can be very challenging, but adding in special needs considerations can make it even more difficult. 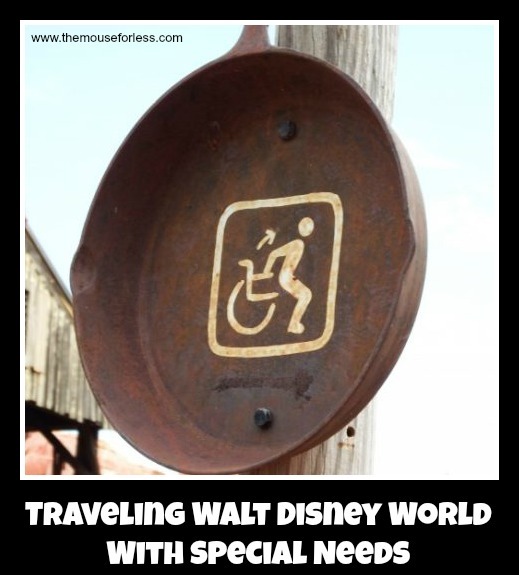 Walt Disney World is extremely accommodating to guests with disabilities and other needs. Hopefully this page will provide the information necessary to make your Walt Disney World vacation easier and even more magical! Walt Disney World Resort makes great efforts for a Disney vacation to be not only possible but also comfortable for those traveling with special needs. Using the links on this page you will be able to navigate through the special needs resources available at Walt Disney World. Disney offers many services depending on your needs. Anything from attraction access to dining is covered to ensure that you have a magical and fun trip to Walt Disney World. The Disability Access Service at Walt Disney World is used to allow guests who may find it difficult to wait in long lines to be able to avoid that lengthy wait. To use this service guests simply go to an attraction and show the cast member at the entrance their DAS pass. The cast member will give your party a return window to come back and enjoy the attraction without having to wait in the stand-by line. 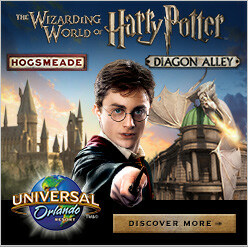 To sign up for this service visit Guest Relations as you enter the park. Read more on our DAS page. Walt Disney World is very wheelchair and ECV friendly. Nearly all guest areas feature smooth, paved walkways and there are not a lot of hills to climb in flat Florida. It is possible to rent wheelchairs and ECVs from Disney at the entrance to each park, and courtesy wheelchairs are provided in each parking lot. 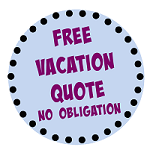 Guests are welcome to bring their own wheelchairs and ECVs from home or rent from outside companies. Many attractions provide guests with the option of enjoying from their wheelchair or ECV, but there are also attractions that may require guests to transfer from the chair. Follow this link for our Wheelchair/ECV Guide. Walt Disney World with Special Needs offers services to assist those with difficulty hearing. Guests can request assistive listening devices along with handheld captioning devices. In addition, sign language interpretation for shows is available in the theme parks on select days of the week. There is closed captioning capabilities on most screens around Walt Disney World. In the Disney World resorts, there are text typewriter phones available along with door knock and phone alerts, bed shaker alerts, and even strobe light alerts for smoke detectors. 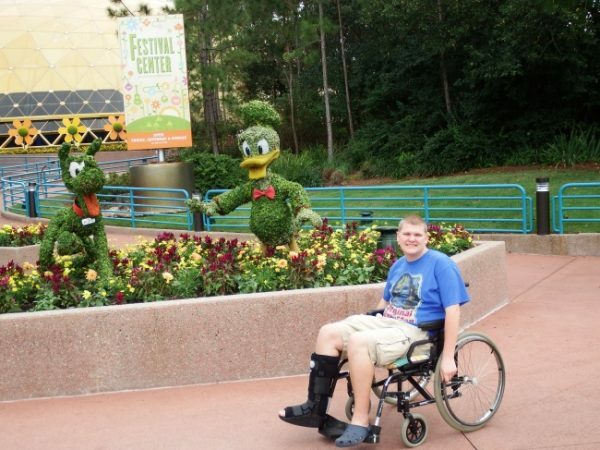 Check out our Visiting Walt Disney World with Hearing Disabilities Page. Walt Disney World provides services for guests with vision challenges. There are braille maps available, and many signs include braille. Disney offers an audio description service that helps to describe visual scenes in order to help to maximize the experience of anyone with a visual disability. For more information check out our page on Touring Walt Disney World with Visual Disabilities. Service animals are welcomed to Disney Parks. There are several places around the parks and resorts where these helpful animals can take care of their needs. Disney requires animals to remain on a leash or harness, and does not allow cast members to handle the helpful creatures. Check out our Service Animals page. Disney offers companion restrooms for families who need the use of a shared restroom facility. There are a limited number of these restrooms. There is a companion restroom in the first aid center of each theme park. Companion restrooms are very helpful to those in wheelchairs who may require assistance from a family member. For more information and a guide to locations, check our our Companion Restrooms page. Walt Disney World is extremely accommodating to guests who are dining in the parks and around the resorts. All dining locations have an allergy notebook that lists allergy friendly foods from the menu. Most eateries have vegan options for guests who avoid animal products. If you have a food item that must be avoided, restaurants at Disney will typically strive to provide you with some option to eat if at all possible. Table service restaurants are generally the most accommodating, as the chef will often personally come to the table to ensure that your meal is prepared in a way that lets you enjoy a safe and delicious meal. Check out our page on Dining with Allergies and our page on Dining Gluten Free. Walt Disney World assures that resorts feature accessible rooms for guests with hearing and mobility challenges. The handicap accessible rooms feature space for movement and accessible restrooms. Rooms for guests with hearing challenges include features that allow for a safe trip in the case of a guest with hearing impairment. At the resorts there is accessible parking and there are handicap accessible paths for guests to maneuver around the resorts. Read more on our Disability Access Rooms at Walt Disney World page. Walt Disney World offers some accommodations for guests with cognitive disabilities. There are several break areas to escape the over stimulation that a Disney vacation can create, and cast members are able to direct guests to these areas. In addition, guests have many options available to ensure that anyone with a cognitive disability will be able to remain calm. Guests are permitted to bring their own stroller or wheelchair, and are encouraged to bring headphones and calming objects for those with cognitive disabilities in the group. Disney also encourages pre-planning to prepare guests with disabilities for the challenges that traveling can pose. Check out our page on Touring the parks with Cognitive Disabilities. It is completely possible to visit Walt Disney World with needs relating to asthma and other allergies. Disney prohibits smoking in resort rooms and limits smoking in the parks to a few areas that are marked on the park map and on the MyDisneyExperience app. These areas are mostly away from major attractions and are generally easy to avoid. Cast members are normally strict about limiting smoking to the designated areas. There are some locations that feature strong scents those with asthma may wish to avoid, these locations are listed on the linked page. If you have allergies that are food-related, Disney offers special menus that clearly list ingredients of foods. In addition, many restaurants will prepare meals specially for guests who need to avoid a certain food group. Read more on our Touring Walt Disney World with Asthma page.